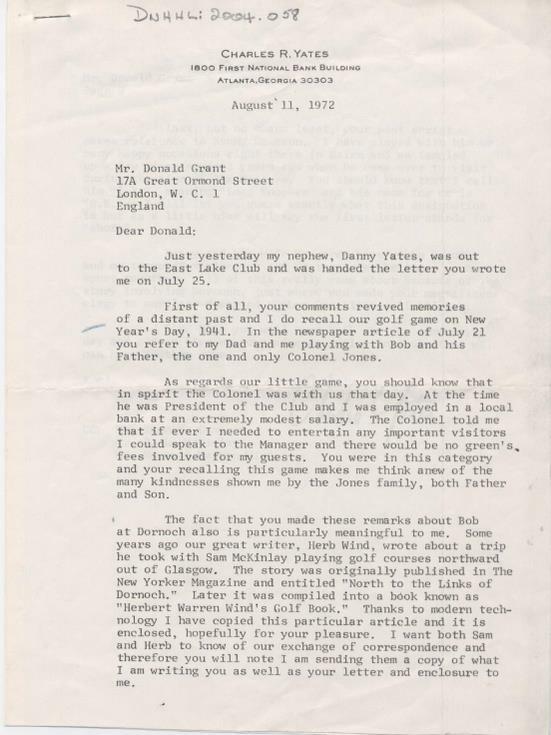 Photocopies of letters to Donald Grant on the subject of golf, from the 1940s to 1970s. Includes text of an address on Dornoch Golf Club he gave to the Country Club of Carolina in 1972. One letter is incomplete - front page(s) missing.